DETUNE Ltd. and KORG Inc. are pleased to announce the “KORG DSN-12” analogue synthesizer software for Nintendo 3DS Downloads. “KORG DSN-12” download in early September, 2014 only from the Nintendo eShop in North & South America as well as Europe. 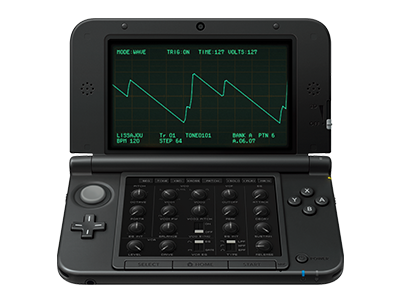 Home News Announcing the “KORG DSN-12” analogue synthesizer software for Nintendo 3DS Downloads.